Timeline North is a passionate and versatile post-facility specialising in film and broadcast post-production. 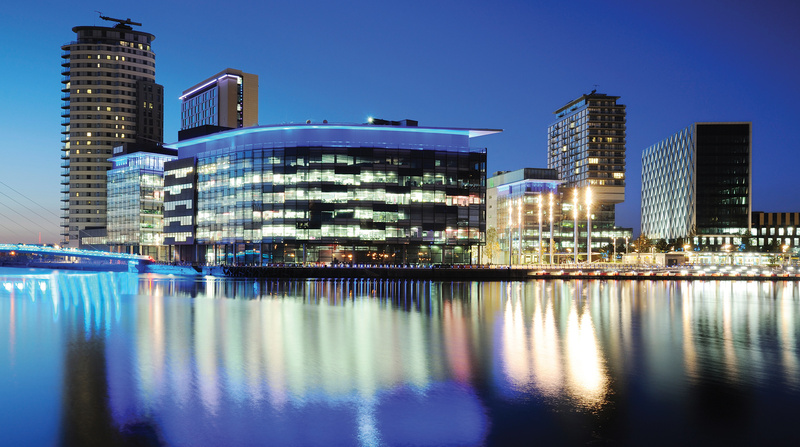 Located on the 17th floor of the Blue Tower at MediaCityUK, Timeline North boasts outstanding finishing facilities, which offer multi-platform online editing, UltraHD 4K grading suites and superb-sounding dubbing rooms. Equipped with the very best technology and workflows, Timeline offers end-to-end post-production services for the UK’s leading broadcasters, filmmakers and commercial agencies. With a huge range of connected capabilities across its MediaCityUK, Soho and Ealing Studios facilities – backed by its secure, high-speed private media network – Timeline can offer your next project an unmatched level of flexibility. Timeline North is part of the UK Screen Alliance.